I have emerged from my hole and I offer a choice of red or blue pills. What happens if I take both pills at the same time? You get really bad gas and a insatiable urge to watch "All in the Family" reruns for 2 days. I'll pass on that. Hit me up with a red pill. The font is not publicly available as far as I know. The Albion font can be googled and downloaded as ttf from the dafont webconnection. Hello. I hope I am not a bother! I have a question that I cannot find an answer to... I know that for I'm names are reserved in game, however, if an account to was never used in the past 2 years, do they FOREVER own that name? Or is there a waiting time to be able to claim the name in game? Nothing official has been said yet whether the old forum names or names with no Founder Pack attached to their account will be freed up. So I don't have an answer, I'm afraid. But currently there is no system in place that would allow you to claim a name after a certain period of time. The time wasn't taking into account daylight savings, so the PST time was wrong. The server goes up in 45 minutes from now. 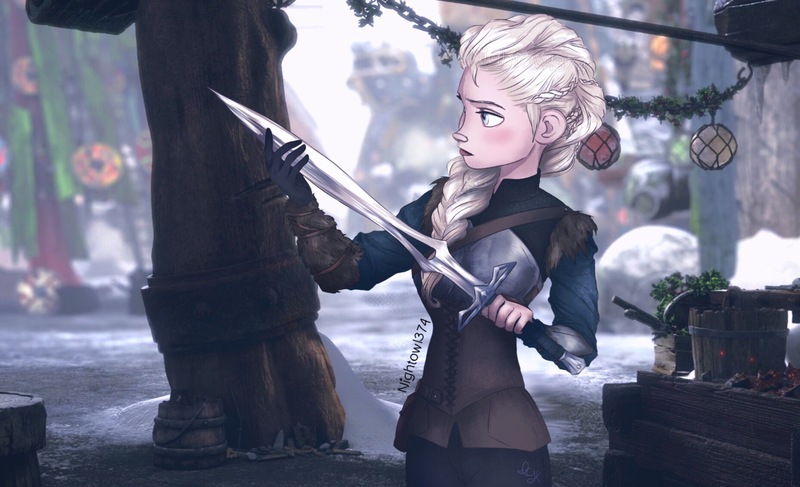 Hi Elsa, thank you for your Armor & Weapon Skills Spreadsheet this is very well done and very usefull. I'm belonging to a french guild (since I'm french) and I was wondering if I could re-use and translate this doc since the members of my guild are not really comfortable with english. This would only be for my guild. Thanks a lot! Yes, feel free to use it in whatever way you wish. I'm glad you find it useful! Elsa Thank you for providing this spreadsheet and I have set it as a document for my guild to use and told them to give proper thank you to you for doing this for the gaming community. Hi elsa i still wanto change my forum name for release can we make this happen please? Forum names can't be changed at the moment. 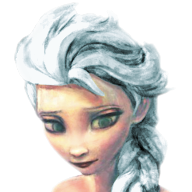 Hello, Elsa, I just had to ask... You wouldn't happen to use frost staffs ingame, would you? Heya, Elsa. Thinking I might wanna try this, but is it worthit? It's either this or Crowfall. I felt a cold breeze when You visit me, how You doing? Why you visiting my profile? Am I not allowed to visit you? You are more than welcome to come see me. I was just curious. No exact date as of yet. It's planned to end late this year or in Q1 2017 - the upcoming roadmap posted by the developers will reveal more information on that, so hang tight. Hey there, i was wondering if you could help me out with something, i purchased the legendary founder pack and i have not yet received it, the purchase was trough a transfer wire, already credit from my account. Happy to see that you're still around. Do moderators or developers ever enter the game itself and play along with their community? Very sneaky I must say.... I might be playing with one of the mods as we speak! Haha, thanks for the input. Will the game ever be F2P or will I always have to buy it? Thank you so much I know this might be a stupid ? but my guild tab fot chat isn't showing - how do I activate it? Elsa, I know it might be a stupid ?? but does it matter where i Build my island.. should it be close to guild island? or can it be anywhere? Will I still be able to travel between myself and guild island with my gear? Your island will be located in the city you buy it in. So you will only be able to fast travel between the guild island to personal island if you can also fast travel between the two cities where the islands are located.